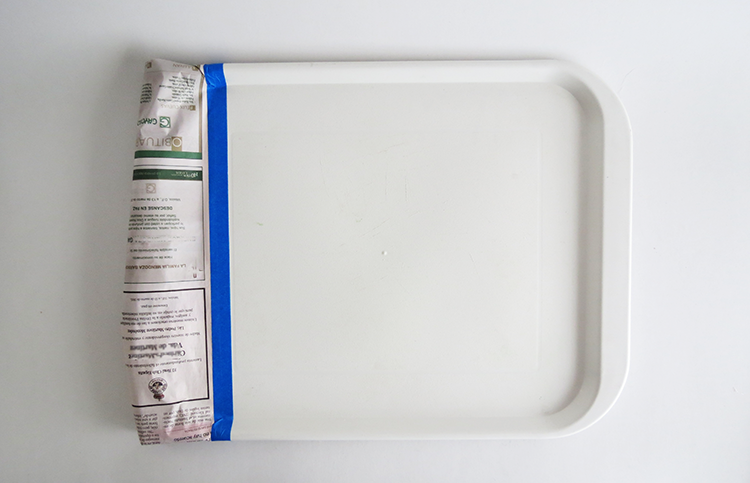 Here is and easy tutorial to customize a plastic tray. 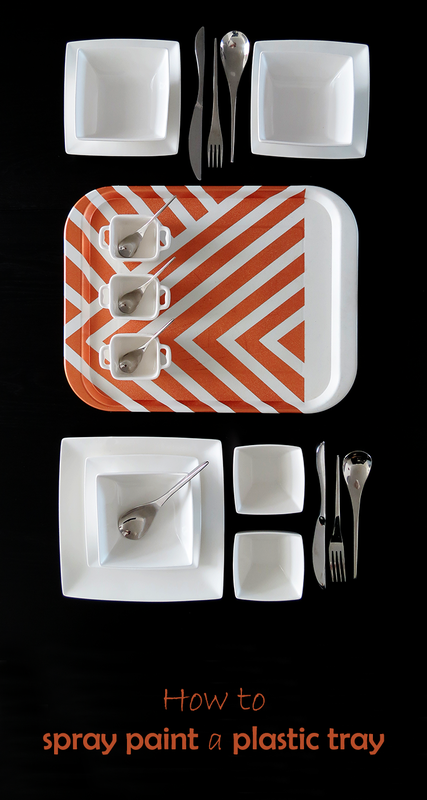 I’ve got this simple tray for years…I’m not even sure where I get it. Maybe it comes with the fridge. What ever…the point is it was plain boring and I never use it. So it was time to give it a little twist. 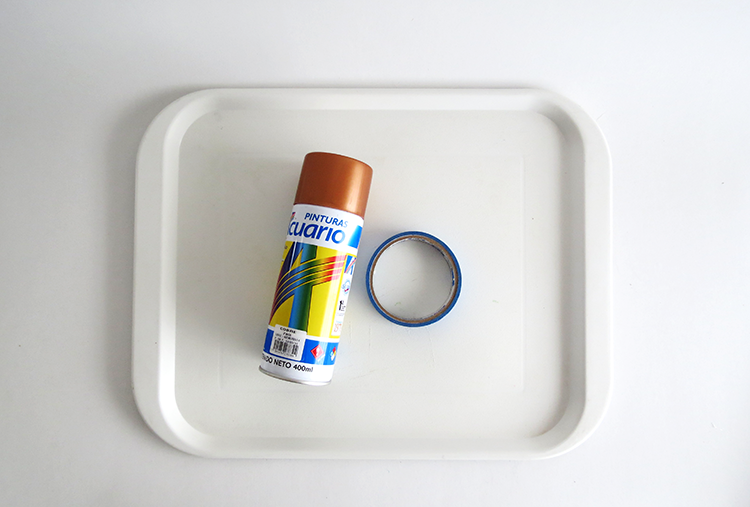 I just used pinterest inspiration, copper spray paint and tape…easy! First sand smoothy and clean the tray. 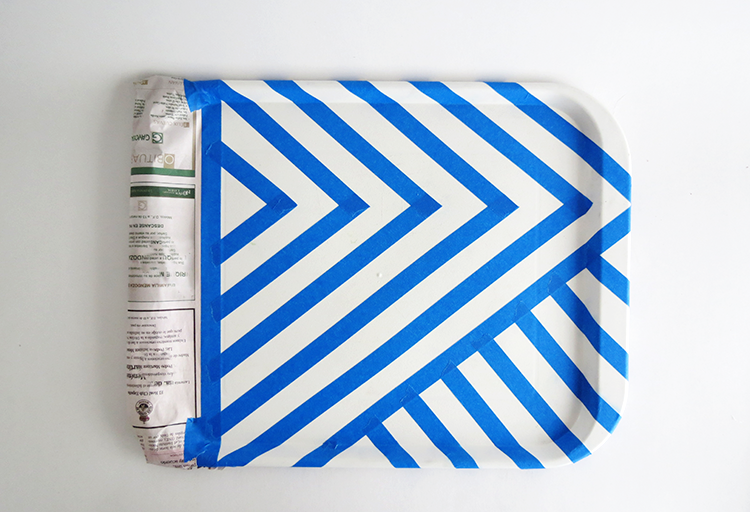 With tape and paper, start cover the part you don’t want to paint. 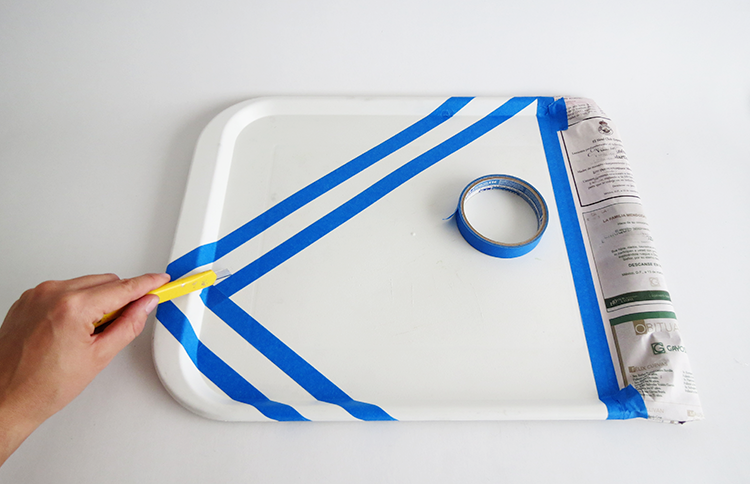 Use the tape to make graphic lines on the tray. Cut and adjust the edges with a utility knife. When you are happy with your pattern, spray paint. Do it in several thin coats. When it’s dry remove carefully the tape. And enjoy! What do you think? Much better then before, no? 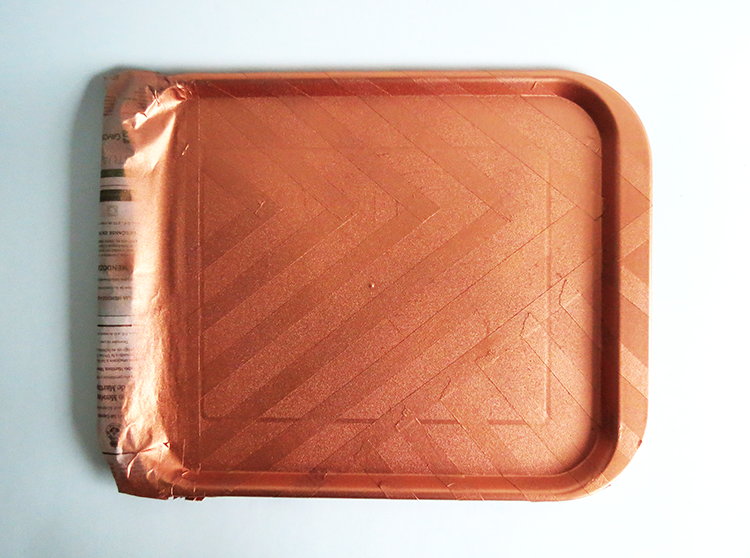 It was fast and easy and now I have a nice copper tray! 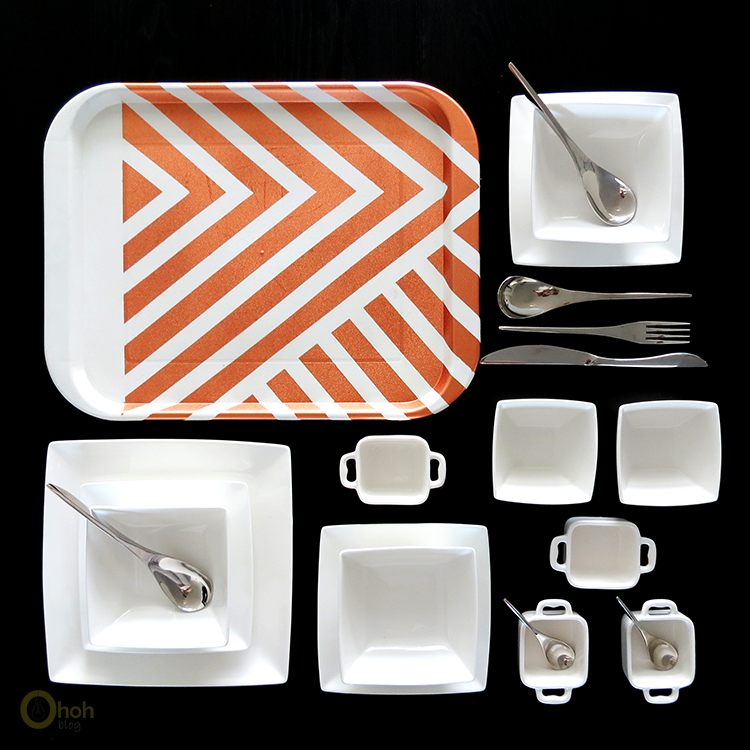 You can also take a look at this hexagonal tray tutorial. 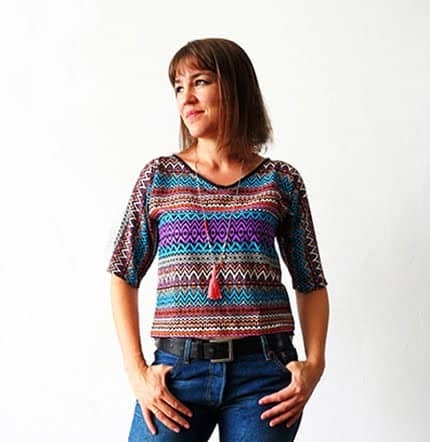 And some news: I finally get an Instagram account so if you like to you can follow the blog there also.